July 1, 2011 – (left) Ret. 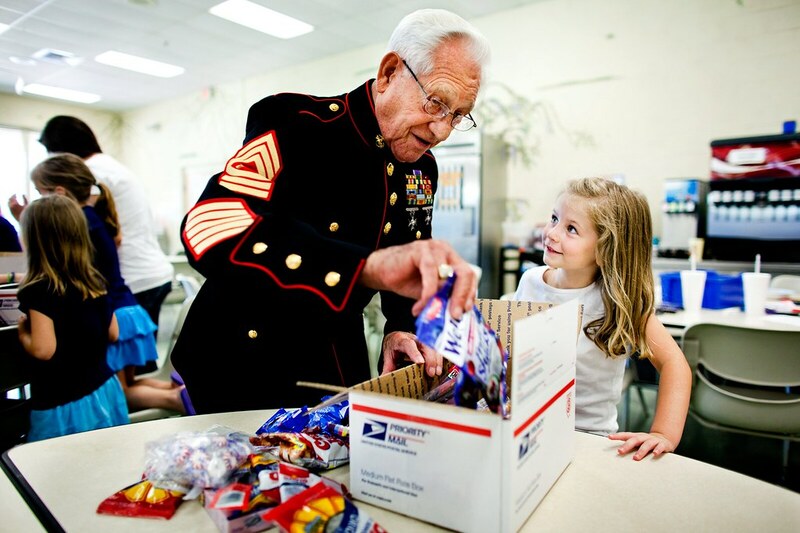 Marine Jim Brown helps (right) Selby Hancy, 6, with preparing a care packages for marines serving in Afghanistan. The summer campers at St. Agnes Academy-St. Dominic School and members of the Marine Corps League will plan to fill 50 boxes that will include toothbrushes, sunglasses, protein bars, cookies, coffee and other snacks, along with notes, prayers and letters of support. This is the second year the groups have worked together to fill boxes for Marines in Afghanistan as one of the weekly service projects campers participate in throughout the summer at St. Agnes-St. Dominic.